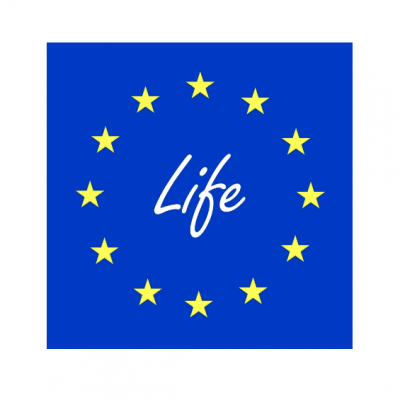 LIFE is the European Programme for the Environment and Climate Action, for the period from 1 January 2014 until 31 December 2020. The legal basis for LIFE is Regulation 1293/20131. The LIFE Programme is structured in two sub-programmes: the sub-programme for Environment and the sub-programme for Climate Action. The overall financial envelope for the implementation of the LIFE Programme is EUR 3 456 655 000, of which 75 % is allocated to the sub-programme Environment (EUR 2 592 491 250) and 25 % to the Climate Action sub-programme. Technical Assistance (TA) projects provide, by way of action grants, financial support to help applicants prepare Integrated Projects (IPs). A maximum of 1 % of the yearly budget allocated to Integrated Projects may be made available to Technical Assistance projects. The amount available for co-financing Technical Assistance projects in 2018 will be 980,000 € under the sub-programme Environment and 260,000 € under the sub-programme for Climate Action. According to Article 2 of the LIFE Regulation, Technical Assistance projects are supposed to ensure that the Integrated Projects (IP) which they prepare comply with the timing, technical and financial requirements of the LIFE Programme in coordination with funds referred to in Article 8(3). Technical Assistance projects have to aim at the preparation of a future IP proposal and the applicant must not be a Member State entity which receives financing for a Capacity Building project which covers at least a part of the period to be covered by the Technical Assistance project. Integrated Projects – as defined by the LIFE Regulation – are projects implementing on a large territorial scale, in particular, regional, multi-regional, national or trans- national scale, certain specific environmental or climate action plans, strategies or roadmaps required by specific Union environmental or climate legislation, developed pursuant to other Union acts or developed by Member States' authorities, primarily in the areas of nature, including, inter alia, Natura 2000 network management, water, waste, air and climate change mitigation and adaptation, while ensuring involvement of stakeholders and promoting the coordination with and mobilisation of at least one other relevant Union, national or private funding source. Applicants are strongly advised to refer to the documents "LIFE2019 Integrated Projects: Guidelines for applicants of the sub-programme Environment” and “LIFE 2019 Integrated Projects: Guidelines for applicants of the sub-programme Climate Action" that describe in full detail the topics and scope of Integrated Projects. This proposal has to be of good quality and has to be eligible. If failure to submit is due to the fault of a TA beneficiary, the granting authority reserves the right to recover any pre-financing and to declare all project costs ineligible. Applicants should ensure that the targeted action plan, strategy or roadmap will be eligible for an Integrated Project. Please note that, inter alia, the action plan, strategy or roadmap should be likely to be adopted by the submission date of the proposal for the Integrated Project, which by default will be before the end date of the Technical Assistance project. Provides financial support for the preparation of a proposal for an Integrated Project in order to implement a River Basin Management Plan (RBMP), a Waste Management Plan (WMP) or an Air Quality Plan. Provides financial support for the preparation of a proposal for an Integrated Project in order to implement a Priority Action Framework (PAF).  Urban climate change adaptation IPs: should aim at the implementation of urban or community-based action plan pioneering the transition to a climate resilient society.  Climate change mitigation IPs: national, regional or industry-/sector-specific greenhouse gas mitigation strategy or low carbon economy roadmap.  Urban climate change mitigation IPs: should aim at the implementation of urban or community-based action plan pioneering the transition to a low carbon society. The overall objective of a Technical Assistance project is writing an IP proposal, so all implementation actions must contribute to this goal. As a general principle, all actions included in the Technical Assistance project must be new and additional to the work undertaken by the applicant prior to the project.  should be clearly related to the objective(s) of the project and the corresponding IP.  writing of the IP proposal itself.  Project management, activities undertaken by the beneficiaries for the management of the project (administrative, technical and financial aspects) and for meeting the LIFE reporting obligations. The project management structure must be clearly presented (including an organigram and details of the responsibilities of each person and organisation involved).  Training, workshops and meetings for the beneficiaries' staff, where these are required for a successful management of the Technical Assistance project. If a coordinator or project manager also directly contributes to the implementation of certain work package, an appropriate part of his/her salary costs should be attributed to the estimated costs of those actions. Please be aware that all project activities must be grouped in a logical, consistent and structured way into separate work packages. All work packages must present a clear, logical link to the project objectives and to the other work packages. For further details on how to conceive the work packages in your project proposal, please refer to the Guide for Applicants. A proposal for a Technical Assistance project is expected to support the applicant during preparation of an eligible IP proposal of good quality that targets an eligible action plan, strategy or roadmap. The proposals must also demonstrate that the proposed action is of Union interest by making a contribution to the achievement of one of the general objectives of the LIFE Programme set out in Article 3. The available call budget is EUR 1 280 000. Specific budget information per topic can be found in the table below. Project budgets are expected to range between the amounts below (per topic), but this does not preclude the submission/selection of proposals requesting other amounts. EASME reserves the right not to award all available funds or to redistribute them between the call priorities, depending on the applications received and the evaluation results. Applications must be submitted before the call deadline (see time-table section 3). Applications must be submitted electronically via the Participant Portal Electronic Submission System (accessible via the Call Topic page in the Funding Opportunities section). Paper submissions are no longer possible. Applications (including annexes and supporting documents) must be submitted using the forms provided inside the Electronic Submission System (not the documents available on the Call Topic page — they are only for information). Your application must be readable, accessible and printable and contain all the requested information and all required annexes and supporting documents (see section 10).  be directly responsible for the preparation and management of the project with the other applicants, i.e. not acting as an intermediary. As coordinators, only applicants from EU member states are eligible for Technical Assistance projects. It is expected that the applicant of a Technical Assistance project is the intended applicant of the future Integrated Project. Member State entities which receive financing for a Capacity Building project, which covers at least a part of the period to be covered, by the Technical Assistance project are not eligible. EU bodies (with the exception of the European Commission Joint Research Centre) can NOT be part of the consortium. However, the European Commission Joint Research Centre can participate in a LIFE project only at zero cost. To prove eligibility, all applicants must register in the Participant Register — before the call deadline — and upload the necessary documents showing legal status and origin. Applications by single applicants are allowed. For UK applicants: For UK applicants: Please note that until the United Kingdom leaves the EU, nothing changes with regard to the participation in EU programmes. Please be aware however that the eligibility criteria must be complied with for the entire duration of our framework partnerships/grants. If the United Kingdom withdraws from the EU during that period (without an agreement ensuring eligibility for UK beneficiaries), you will cease to receive EU funding or be required to leave the project on the basis of the contractual provisions on termination. Once a proposal has been accepted for co-funding, the lead applicant will become the coordinator legally and financially responsible for the implementation of the project. The coordinator will be the single point of contact for EASME and will submit the report on the project's technical and financial progress. The coordinator receives the EU financial contribution and ensures its distribution as specified in the internal consortium agreements established with the beneficiaries (if there are any – see below). The coordinator must be directly involved in the technical implementation of the project. The coordinator must bear part of the project costs and must thus contribute financially to the project budget. It cannot therefore be reimbursed for 100 % of the project costs that it incurs (see also section 1.8.4). Furthermore it cannot act, in the context of the project, as a sub-contractor to one of its project partners. In addition to the coordinator, a LIFE proposal may also involve one or more beneficiaries. A beneficiary must always contribute technically to the proposal and hence be responsible for the implementation of one or several action tasks. A beneficiary must also contribute financially to the project. It cannot act, in the context of the project, as a sub-contractor to the coordinator or to other beneficiaries. An Integrated Project is supposed to be an inclusive project, which means that all key stakeholders should be involved. This should be already taken into account, if reasonable, for the Technical Assistance project. However, stakeholders for the Integrated Project in question may be involved via meetings or consultations; they do not necessarily have to be beneficiaries or linked third parties. Public undertakings whose capital is publicly owned and that are considered an instrument or a technical service of a public administration, and are subject to the administration control, but are in effect separate legal entities, must become beneficiaries if a public administration intends to entrust the implementation of certain project actions to the undertaking6. For specific tasks of a fixed duration, a proposal may also foresee the use of subcontractors. Subcontractors cannot act as beneficiaries or vice-versa. Subcontractors provide external services to the project partners who fully pay for the services provided. Sub-contractors should not be identified by name in the proposal unless they are considered a linked third party to a project partner. Eligible activities are the ones set out in section 2 above. According to Article 8 of the LIFE Regulation, support from the LIFE Programme should be "complementary to other financial instruments of the Union" and overlap between the LIFE Programme and other Union policies and financial instruments should be avoided. These include, amongst others, the European Regional Development Fund, the European Social Fund, the Cohesion Fund, the European Agricultural Fund for Rural Development, the Competitiveness and Innovation Framework Programme, the European Maritime and Fisheries Fund and the Horizon 2020 Programme. The project partners must inform EASME about any related funding they have received from the EU budget, as well as any related ongoing applications for funding from the EU budget. The geographic location of actions should normally correspond to that of the future IP. Technical Assistance projects shall generally take place in the territory of the European Union Member States. The LIFE Programme may also finance activities outside the EU and in overseas countries and territories (OCTs), provided that the coordinating beneficiary is based in the EU and strong evidence is provided that the activities to be carried out outside the EU are necessary to achieve EU environmental or climate objectives and to ensure the effectiveness of interventions carried out in the Member State territories to which the Treaties apply. The duration of a Technical Assistance project should not exceed two years. It is expected that a Technical Assistance project aims to prepare a proposal for an Integrated Project for the submission deadline which is following the start date of the Technical Assistance project or the submission deadline one year later. Therefore, the reasonable end date of a Technical Assistance project is the next (or the one after the next) submission deadline for the full proposal (stage II) for Integrated Projects. Since the exact submission date for Integrated Projects proposals is not known yet at the time of submission of a TA project proposal, it is suggested to add two or three months as a safety margin to the expected project duration. Beneficiaries should note that a project that has completed all of its actions prior to the expected end date can submit its final report ahead of schedule if it includes a commitment to submit a proposal for an Integrated Project by the following deadline. However, the final payment request will only be accepted after submission of the IP proposal. *A project proposal has to reach at least the minimum pass score for each award criterion and also the sum of scores for criteria for which a minimum score has been fixed has to be equivalent to 55 points or more. Other applications will be rejected. The level of involvement and commitment of the relevant authorities and stakeholders, and the added value of the Technical Assistance project considering other work already undertaken to prepare an Integrated Project, including previous EU financing for PAF projects for Integrated Projects under the sub- programme Environment and Climate Action will be evaluated in view of the project objectives and its expected results. The proposed budget and its consistency with the actions proposed and with the applicable rules as well as the cost-effectiveness of the proposed approach will be evaluated. The value for money of the proposal will also be assessed. The given budget has to be sufficiently detailed to evaluate if the costs in the different categories are reasonable, justified and correctly allocated. All proposals retained after the evaluation against the award criteria will be ranked on merit. In order to keep geographical balance, in the initial step, at most one TA proposal per Member State under the sub-programme Environment and one TA proposal per Member State under the sub-programme Climate Action will be awarded a grant. If budget remains after this step, then the remaining proposals on the list will be considered for funding on the basis of merit alone. For each proposal, the Member States to which the EU financial contribution will be allocated must be clearly identifiable in the proposal. This EU financial contribution is either allocated to the Member State in which the coordinating beneficiary is registered, or, in case of a trans-national proposal, to more than one Member State. All project participants must have stable and sufficient resources to successfully implement the project and contribute their share. Organisations participating in several projects must have sufficient capacity to implement several projects. The financial capacity check will be done by us on the basis of the documents you will be requested to upload in the Participant Register (profit and loss account and balance sheet for the last two closed financial years, or for newly created entities possibly the business plan; for applicants requesting more than EUR 750 000: audit report produced by an approved external auditor, certifying the accounts for the last closed financial year). The analysis will take into account elements such as dependency on EU funding and deficit and revenue in previous years.  if the individual requested grant amount is not more than EUR 60 000 (low- value grant). If needed, it may also be done for linked third parties. – request that you are replaced or, if needed, reject the entire application. For more information, see Rules on Legal Entity Validation, LEAR Appointment and Financial Capacity Assessment. All participants must have the know-how and qualifications to successfully implement the project (including sufficient experience in EU/trans-national projects of comparable size). This capacity will be assessed on the basis of the experience of the applicants and their staff.  a list of EU funded actions/projects (including LIFE) for the last 4 years. Additional supporting documents may be requested, if needed to confirm the operational capacity of any applicant. Public bodies and international organisations are exempted from the operational capacity check.  created under a different jurisdiction with the intent to circumvent fiscal, social or other legal obligations in the country of origin or created another entity with this purpose (including if done by persons having powers of representation, decision-making or control, beneficial owners or natural persons who are essential for the award/implementation of the grant).  were previously involved in the preparation of grant award documents where this entails a distortion of competition that cannot be remedied otherwise (conflict of interest). Professional misconduct includes: violation of ethical standards of the profession, wrongful conduct with impact on professional credibility, false declarations/misrepresentation of information, participation in a cartel or other agreement distorting competition, violation of IPR, attempting to influence decision-making processes or obtain confidential information from public authorities to gain advantage.  Coordinator & consortium — The coordinator represents the consortium towards the EU. You must have agreement of the other members and their mandate to act on their behalf and will have to confirm this in your application. Moreover you will have to declare that the information in the proposal is correct and complete and that all participants comply with the conditions for receiving funding (especially, eligibility, financial and operational capacity, no exclusion, etc.) and have agreed to participate. Before signing the grant agreement, each participant will have to confirm this again by signing a declaration of honour (DoH). Proposals without full support will be rejected.  Linked third parties — Applicants may participate with linked third parties (i.e. affiliated entities1) that receive funding. Linked third parties must comply with all the conditions set out in this call (just like applicants), but they do not sign the grant agreement and do not count towards the minimum eligibility criteria for consortium composition.  Subcontractors — Subcontracting is allowed, but subject to strict limits (see section 9).  Registration — All applicants must register in the Participant Register — before the call deadline — and upload the necessary documents showing legal status and origin. Linked third parties can register later (during grant preparation).  Completed/ongoing projects — Applications for projects that have already been completed will be rejected; applications for projects that have already started will be assessed on a case-by-case basis (in this case, no costs can be reimbursed for activities that took place before proposal submission).  Balanced project budget — Applicants must ensure a balanced project budget and sufficient other resources to implement the project successfully (e.g. own contributions, income generated by the action, financial contributions from third parties). You may be requested to lower your estimated costs, if they are ineligible (including excessive).  No profit rule — Grants may NOT give a profit (i.e. surplus of receipts + EU grant over costs). This will be checked by us at the end of the projects.  No double funding — Any given action may receive only one grant from the EU budget. The project must therefore NOT receive any financial support under any other EU funding programme (including EU funding managed by authorities in EU Member States or other funding bodies, e.g. Regional Funds, Agricultural Funds, EIB loans, etc.). Cost items may NOT be declared twice under different EU actions.  Combination with EU operating grants — Combination with EU operating grants is possible if the SGA project is remains outside the operating grant work programme and you make sure that cost items are clearly separated in your accounting and NOT declared twice.  Multiple applications — Applicants may submit more than one application for different projects under the same call (and be awarded a grant for them). Organisations may participate in several applications. BUT: if there are several applications for the same/very similar project, only one application will be accepted and evaluated; the applicants will be asked to withdraw one of them (or it will be rejected).  Language — You can submit your proposal in any official EU language. However, for reasons of efficiency, we strongly advise you to use English. If you need the call document in another official EU language, please submit a request within 10 days after call publication (for the contact information, see section 10).  Applications that do not comply with all the call conditions will be rejected. This applies also to applicants: All applicants need to fulfil the criteria; if any one of them doesn’t, they must be replaced or the entire proposal will be rejected. This call is subject to the standard submission and evaluation procedure (one-stage submission + one-step evaluation). Applications will be checked by us for formal requirements (admissibility and eligibility) and will be evaluated (for each topic separately) by an evaluation committee (assisted by independent outside experts) against the operational capacity and award criteria and then listed in a ranked list according to their quality score. Unsuccessful applications will be informed about their evaluation result (see time- table section 3). Successful applications will be invited for grant preparation.